Dr. Weis is Past President of the American Educational Studies Association and is on the editorial boards of several journals, including Educational Policy, International Journal of Qualitative Studies in Education and Review of Educational Research. Dr. Weis was awarded the rank of SUNY Distinguished Professor, the highest faculty rank in the State University of New York system. The award recognizes full professors of national or international prominence for outstanding achievement in research and scholarship. 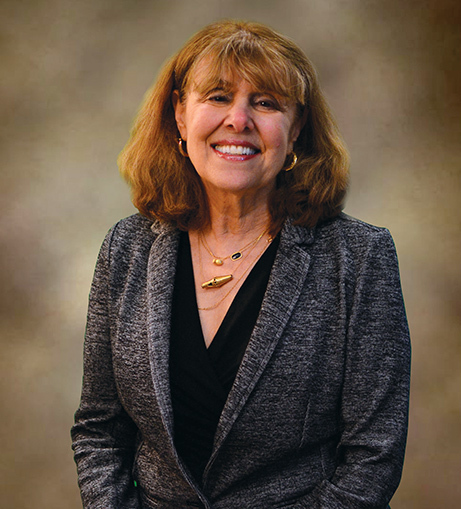 Among her many awards, Weis and co-author Michelle Fine received the 2006 Critics' Choice Award from the American Educational Studies Association for their book, Beyond Silenced Voices: Class, Race, and Gender in United States Schools. She is a member of the National Academy of Education (NAEd) and an Honorary Fellow of the American Educational Research Association. Weis, L. Cipollone, K, and Jenkins, H. (2014). Class Warfare: Class, race and college admissions in top-tier secondary schools. Chicago: University of Chicago Press. Eisenhart, M., Weis, L. et al. (2015). High school opportunities for STEM: Comparing inclusive STEM-focused and comprehensive high schools in two US cities. Journal of Research in Science Teaching, 52(60), 763-789. Weis, L., et al. (2015). In the guise of STEM education reform: Opportunity structures and outcomes in inclusive STEM-focused high schools. American Educational Research Journal, 52(6), 1024-1059. Weis, L., & Fine, M. (2013). A methodological response from the field to Douglas Foley: Critical bifocality and class cultural productions in anthropology and education. Anthropology & Education Quarterly, 44(3), 222-233. Weis, L., & Fine, M. (2012). Critical bifocality and circuits of privilege: Expanding critical ethnographic theory and design. Harvard Educational Review, 82(2), 173-201. Weis, L. (2016). Positioning for elite and quasi-elite colleges and universities in the United States: Parent and student strategies for maintaining advantage in new economic and postsecondary context. In Slaughter, S. and Taylor, BJ, Eds., Higher education, stratification, and workforce development: Competitive advantage in Europe, the US, and Canada. New York: Springer. Weis, L. Cipollone, L., and Stich, A. (2016). Poverty, privilege, and the intensification of inequalities in the postsecondary admissions process, in W. Tierney, ed., Rethinking education and poverty. Baltimore, MD: Johns Hopkins Press. Borko, H. and Weis, L. (2015). Celebrating our successes and offering a cautionary note: Reflections on the National Academy of Education/Spencer Fellowship Programs, in Michael J. Feuer, Amy I. Berman, and Richard C. Atkinson, Eds., The past as prologue: The National Academy of Education at fifty: Members reflect. Washington, DC: National Academy of Education. Weis, L. (2015). Foreword. In M. Li, Citizenship education and migrant youth in China: Pathways to the urban underclass. New York: Routledge. Weis, L. (2014). A comment on class productions in elite secondary schools in twenty-first century global context, in Jane Kenway and Cameron McCarthy, Eds., Globalisation, societies and education. Special issue: Elite schools in globalising circumstances: New conceptual directions and connections, 12(2), 309-320. Former Editor, American Educational Research Journal. Impact factor 2.462. Founding Editor, Educational Policy (with Philip Altbach, Gail Kelly, Hugh Petrie, and Sheila Slaughter). Impact factor 1.586. Member of National Academy of Education, participate in a variety of professionally-related activities including the Professional Development Committee activities at all relevant NAEd functions. Member of the NAEd/Spencer dissertation selection committee, a very intensive set of commitments, involving the review of hundreds of applications each year.